The Chaos God Tzeentch is the master of sorcery and magic, and he is well known to bless his followers with dynamic mutations. He is forever scheming and manipulating his friends and foes alike, sometimes to achieve his greater goal or just because it amuses him. 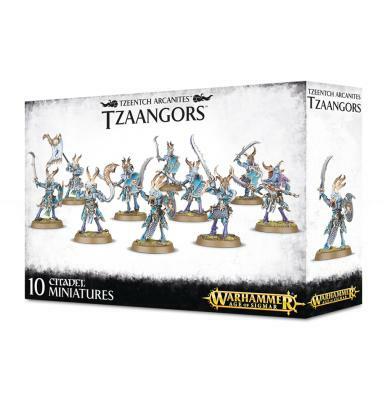 Tzeentch is known by many names, but the most common titles he bears are the Changer of the Ways, the Master of Fortune, the Great Conspirator and the Architect of Fate.